Bread cooked every morning on site, entertainment for children 3 mornings a week, washing machine, canoe hire, free wifi throughout the campsite. In an area of ? 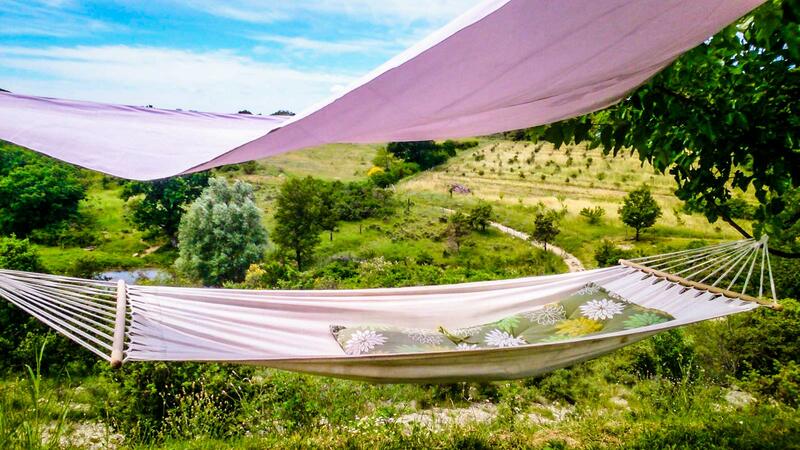 ?40 hectares natural and wild, Camping de Chadeyron is located on a small hill enjoying a magnificent panorama. It is a quiet place, ideal to recharge your batteries and the starting point for different walks. Restoration possible every evening in July-August. Pretty infinity pool, heated, water slide, playground for children. In July and August, free children’s club, a themed evening a week with show or concert. Camping or renting, you will appreciate the calm and serenity of the place. Pitches 25 pitches spaces minimum 90 m2, delimited, electrified (10 amps) 10 pitches "great comforts", 120 m2 minimum with connection water, evacuation on the plot, electrified (16 amps). Our mobile homes 18 Mobil-homes upscale, all equipped with covered terraces, nice view, large plots. Air conditioning possible. Chalets twins 2 chalets (65 m2 and 35 m2) rented together for 10 to 12 people. Installed on a large plot. Mas Authentic mas ardéchois, 500 m2 livable, maximum capacity 30 people, with private swimming pool. 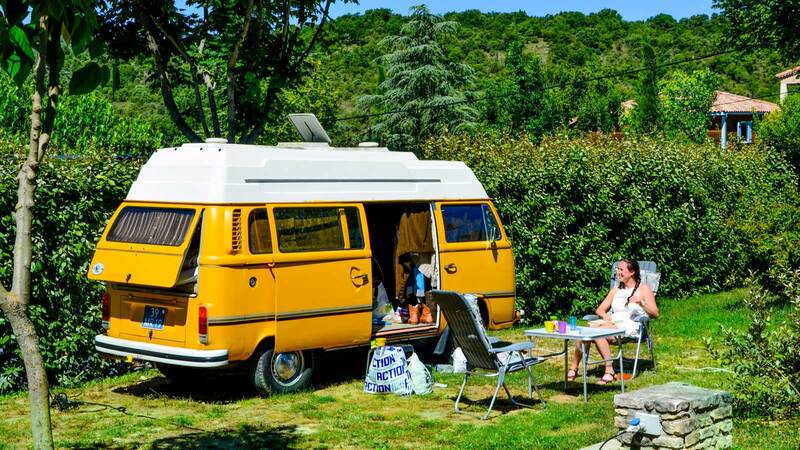 Family camping in terraces of 55 pitches, of which 18 Mobil homes recent of great comfort With covered wooden terraces. Maximum comfort with spacious pitches, modern and heated sanitary facilities, everything for the relaxation of big and small. Away from the crowd, but not too much. Ruoms and Vogué (8km), between the valley of the Ibie and the river Ardeche. The location of our tent is suitable (shade and view), the pool very nice (offers a view worthy of Tuscany! ), Sanitary facilities are super modern and clean, very quiet at all times, evenings offering simple and local cuisine as well as wines, also local, delicious!